Just when you thought the LG G3 had been leaked in its entirety, the proverbial floodgates open yet again. Over the weekend, famed Twitter personality @evleaks posted multi-angle press images of the G3 in gold, white, and titanium. If you’ll recall, those are the colors expected to be available at launch. 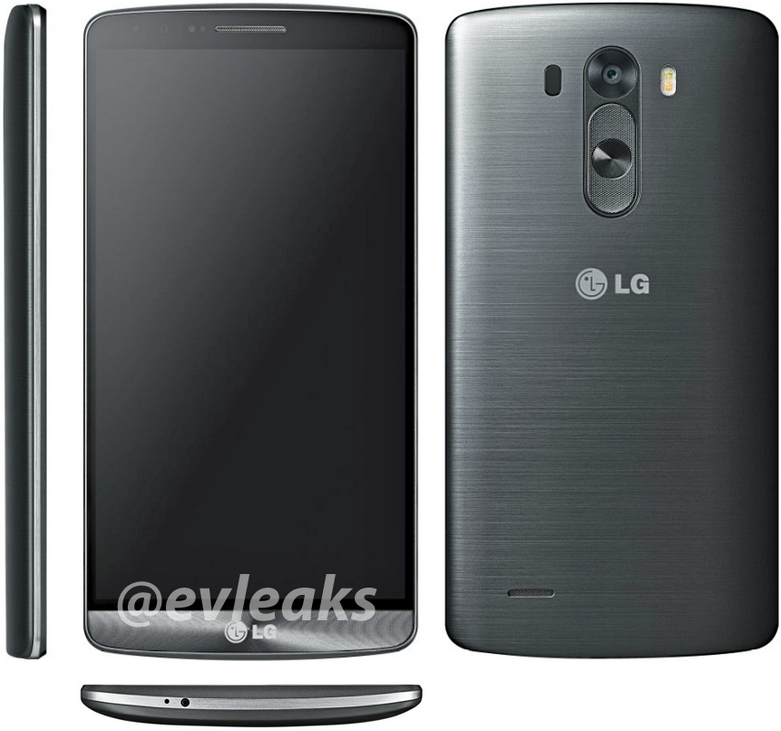 LG G3 rumors have run the gamut, but the leaks over the past week have given us a pretty good idea of what to expect. That odd second sensor near the phone’s 13MP rear camera is likely a cutout for laser autofocus, and the phone is sporting either a Snapdragon 801 or 805 processor. 3GB of RAM is a likely shoe-in, as is a high-capacity battery greater than 3000mAh. On the software front, a reworked Android skin – LG’s so-called Flatter UI – is imminent, possibly along with a new virtual assistant or contextually-aware widgets and apps. All in all, the G3 is shaping up to be LG’s biggest smartphone launch ever. Who else is excited for the launch event on May 27?